If you have fill or debris you need to get rid of fast, Cameron Dirt Works is fully equipped to handle the job at rates you can afford. Hauling and dump charges are based on the amount of material you have. No job is too big or too small. We offer efficient and safe hauling for residential or industrial projects in Puyallup. Cameron Dirt Works hauling is a practical addition to other services that include driveway expansion, roof installation, ground levelling or any construction project where efficient and fast property clearing is required. 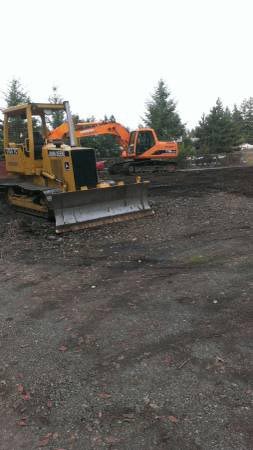 Cameron Dirt Works strives to maintain a reputation as the one of the best excavators serving Puyallup’s commercial and residential property owners. We always maintain the highest standards for safety and professionalism and offer free estimates on our wide range of services that are adapted to any sized project. Our knowledgeable staff is available to answer any questions regarding hauling and other excavation services by calling (253) 606-9574.